Quick fit exhaust heat shield, comes complete with brackets to fit your exhaust system. 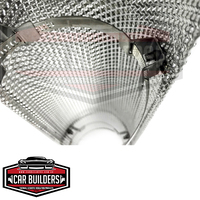 Stop radiant heat at the source and keep your interior cool. Our shield are 600mm, are semi rigid and can be moulded to suit all pipe diameters. 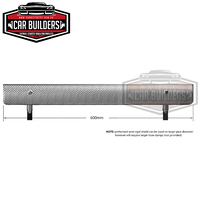 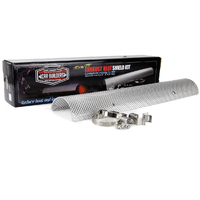 Car Builders Easy Fit Exhaust Heat Shields are constructed from soft temper aluminium. 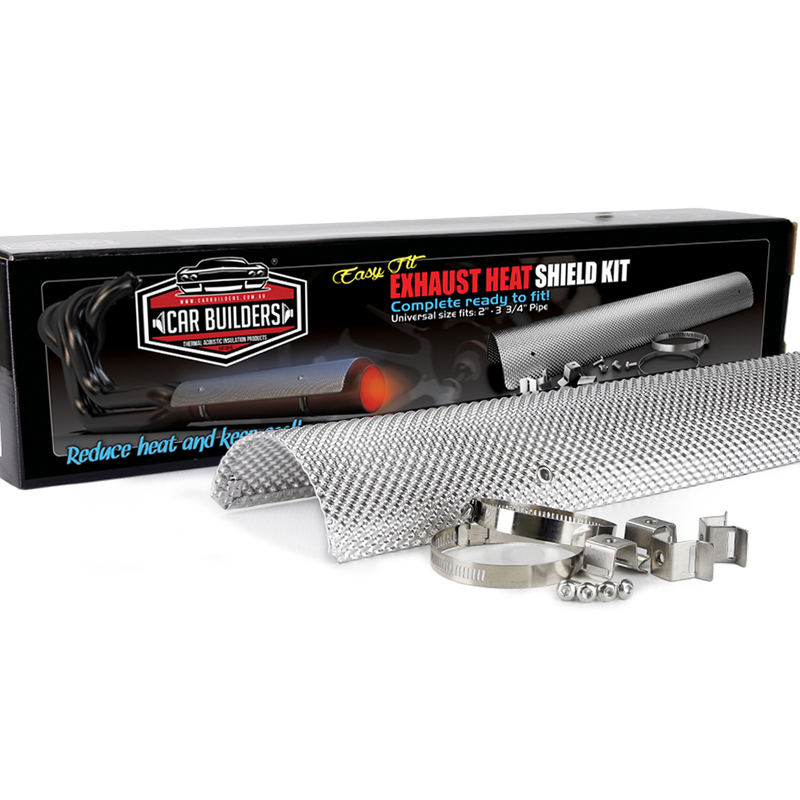 Our exhaust shields are specifically designed to reduce radiant heat exposure. The heat shield protects important vehicle components and occupants from excessive heat exposure. 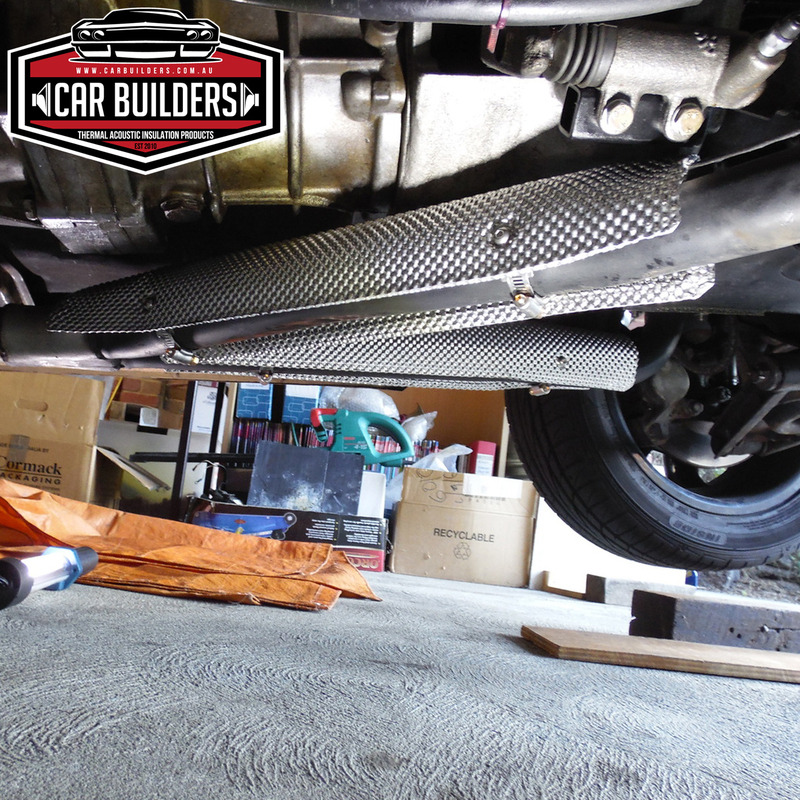 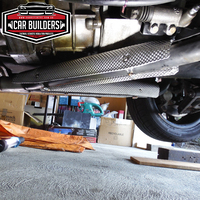 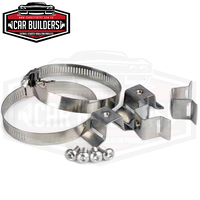 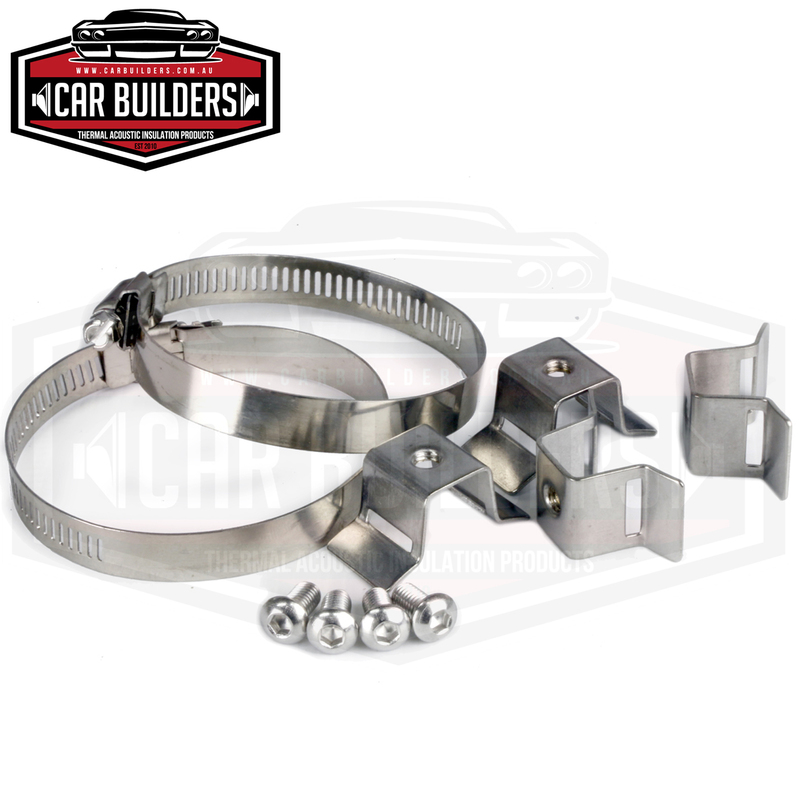 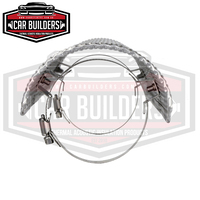 Car Builders multi-layer Exhaust Heat Shields are semi rigid and come pre-formed, complete with stainless mounting brackets, bolts and hose clamps, ready to fit to your exhaust pipe. 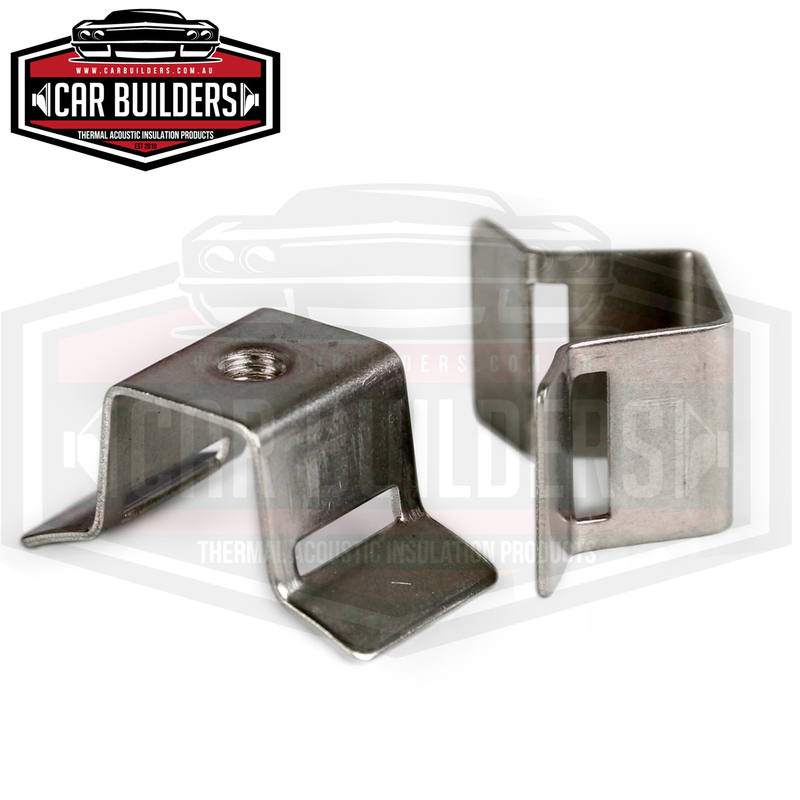 Could u list dimensions please.... your products are awesome.